From the Disney Tangled Party Supply Collection. 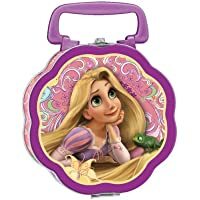 Disney's Tangled Metal Lunch Box. 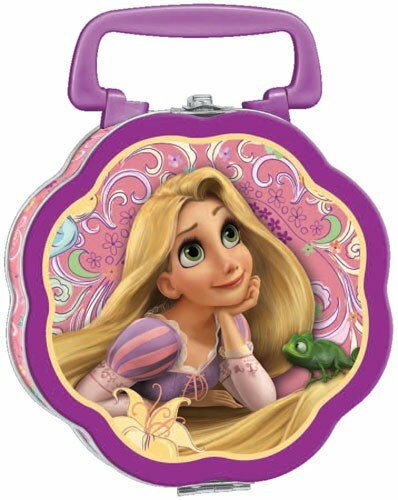 This dark purple lunch box features Rapunzel looking up at the stars on a light pink background. Her iguana Pascal is sitting on her hair. Measures 5 5/7" x 1 1/2" x 5 5/7".